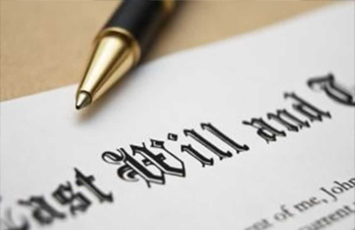 The essence of a Will is to ensure your affairs are managed properlyh in the event of your death whether through foreseen or unforeseen circumstances. It is about planning for the future and is a vitally important document; whether you are a young, young at heart or advancing in years. Usually the client’s first question when inquiring about making a Will is “Why should I make a Will?”. You determine who benefits from your estate on your death rather than it being assumed or pre-determined for you. You get to determine who is appointed to manage your affairs in the event of your death. You have peace of mind knowing that proper and adequate provision has been made for your children, spouse and loved ones. You get to minimise the risk of legal challenge to your estate in the event of your death and the waste of family assets on legal expenses. You must be over the age of 18 to make a Will. You must be of sound mind and understand the nature of the document you are signing. Your signing of the Will must be witnessed by two witnesses and they must witness your signature in your presence. Neither of the witnesses (or their spouses) can benefit under the Will or such parts as may benefit them will be invalid. Our firm is experienced in providing comprehensive and practical advice on all aspects of drafting a professional, valid and legally compliant Will. Each Will is individually tailored to meet the specific needs and wishes of our clients and also takes into account the possible changes the client’s life circumstances. As a Will only takes effect at the date of death, we encourage our clients to review their Wills regularly to ensure their Will meets their current and future needs. If you wish to make a Will you should contact us to make an appointment. Grant of Probate – where a person dies appointing an executor(s) and leaving a valid Will. Grant of Letters of Administration – where a person dies without having left a Will or a valid Will. A Grant will issue to the next-of-kin of the deceased person as determined an order of priority set out in the Succession Act, 1965. Grant of Letters of Administration with Will Annexed – where a person dies having left a valid Will but where someone other than the Executor(s) appointed under the Will apply to administer the deceased person’s estate. Once having done these basics, you should make an appointment to see us. Whilst not every situation necessarily requires the appointment of a solicitor, the process of seeking a Grant of Probate can often be complex and time-consuming. It can also be somewhat traumatic for the children, spouse or loved ones of a deceased person. We are able to assist and advise our clients in all aspects of the administration of a deceased person’s estate from beginning to end taking into account the very sensitive nature of the work being undertaken. We also have the knowledge, experience and sensitivity to deal with probate matters when they become contentious and litigation is necessary.